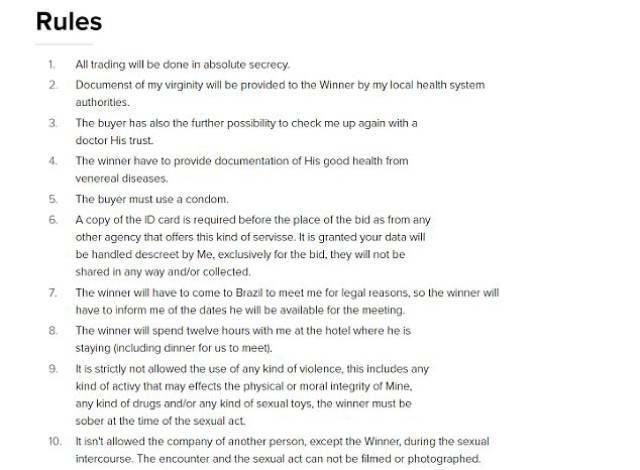 This time it’s a Brazilian teen Rosalie Pinho, 19, who already has some bids placed for her virginity – the buyer will have 12 hours with her. 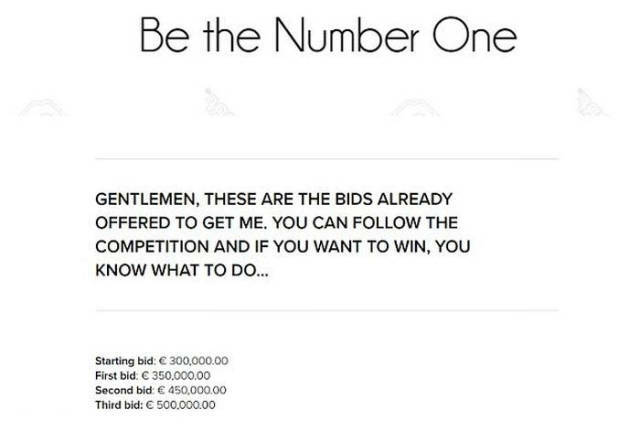 She said: 'The auction has been online for three weeks and will come to an end in the first week of May. The teen, who says her family and friend are unaware of her business venture, added: 'It's totally a secret. I worry a lot more how my decision would reflect on my family than with what people will think about me.